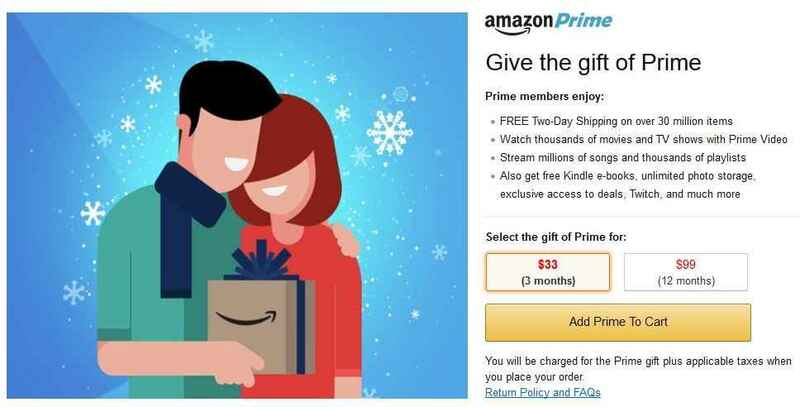 Here’s a fun deal from Amazon where you can gift a 3-month membership of Prime to someone! The 3-month membership is $33. You can also choose to gift a full year for $99. Amazon will send the recipient of your choice an email with redemption instructions. Prime members enjoy FREE 2-day shipping, Prime video, Kindle eBooks, and more.